Are you tired of looking in the mirror every morning to face the color of your hair, as it is just not the shade or intensity that had you asked for? At Salon Du Beau Monde, our experienced warehouse district staff excels at corrective color, and we are happy to help you get the hue you desire. 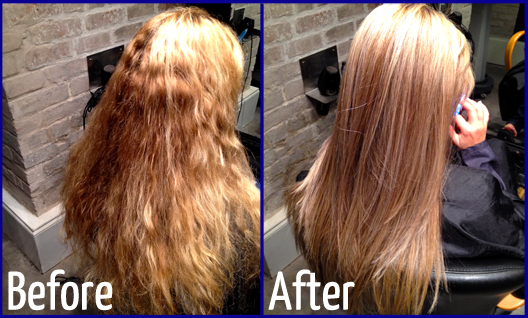 In most cases, it may have taken several applications of tint to achieve the color of your hair in its present state. It may be necessary to apply several new applications in order to achieve your desired shade. A color correction process is generally meant to fix a prior color service that had less-than-satisfactory results, some of which may include accidentally orange tones or an at-home dye gone wrong. During this process, if your hair is getting lightened, then the color is being removed, not put in, and other elements are removed as well, including protein, which can result in damaged hair if not done by an experienced stylist over the course of several treatments. If you wish to darken your hair color, it will require the hair to be filled, or pigment to be deposited back into the hair, followed by at least one more round of coloring. Charges for hair color correction are based on time and the number of applications necessary in order to achieve your desired color. For this reason, we highly recommend calling to schedule a free consultation at our warehouse district salon in order for us to gauge how much work will be needed in order to correct your current hair color. Contact Salon Du Beau Monde for more information and to schedule your consultation today.